Beneath his attic room, the house slept. Stealthily, he made his way along the darkened hallway, stopping at a door with peeling green paint. He fitted the key into the lock, turned it, and heard the familiar scraping of wood on linoleum as the door opened inward. 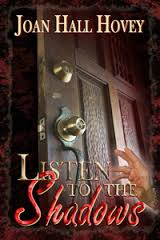 His calloused, blunt fingers then groped along the inside wall to his left, found the switch and flicked it on. Instantly, the cramped space was washed in harsh light from a single bulb hanging from the ceiling, revealing a few pieces of scarred, make-do furniture, including a single cot covered by a worn-thin, grey army blanket, drawn so smooth and taut he could have bounced a quarter from its center. Though shabby, the room was painstakingly neat. Wearing an air of contained excitement, he strode across the room to where the calendar hung from the wall like a window-blind and advertised A & R Realty in black lettering. He peeled back the months of September and October. Then, taking the pen clipped to his shirt pocket, he drew a red circle around the “5” in the month of November. He saw that the fifth fell on a Sunday. Not that it mattered. He regarded the carefully drawn circle for a few seconds, then dropped the pages, letting them whisper back into place. He moved to the table with its rickety legs that managed to support his double hotplate and serve as his dining table. He opened the table’s single drawer, and from beneath a red plastic flatware tray that held only a steak-knife, fork, spoon, can-opener and a butcher-knife, he withdrew a soiled and yellowing envelope. As he shook the photograph from the envelope, his hand trembled. As he had for many months now, with almost religious dedication, he studied her features, let his gaze travel over her long, shapely body. She was wearing shorts and a halter-top. Her long brown hair blew in the breeze. She smiled out at him in open invitation, her almond-shaped eyes crinkling a little at the corners. Her feet were bare. The wait was over. Finally. Triumph raced through him, settled like molten lava in his loins. He welcomed the almost painful arousal. Katie Summers. His patience would be rewarded at last. The debt would be collected. On November fifth. The day he would kill her. His eyes lowered to the butcher-knife in the drawer, and he reached in and picked it up. He gripped the black wooden handle, liking the feel – the heft of it. Slowly, thoughtfully, he ran the thumb and forefinger of his left hand over the flat of the blade. Up and down, up and down. Stroking, stroking, until gradually a dull film began to slip over his eyes. Abruptly, the rhythmic movement of his hand stopped. His eyes cleared. He tossed the knife back into the drawer where it clattered to silence. No. That was not the way he would do it. It felt wrong. And everything must be exactly right. He’d waited a long time. As his gaze returned to the girl in the photograph, inspiration flashed in his mind. Yes, there was a much better way. A perfect way. A slow smile spread across his features – one that entirely missed his pale, cold eyes. Ah, yes, Katie Summers, he thought. You will most definitely be worth the wait.